This past weekend, my husband and I went to Chicago to celebrate my birthday! From Columbus, Chicago is just a quick 45 minute direct flight, or a six hour drive. 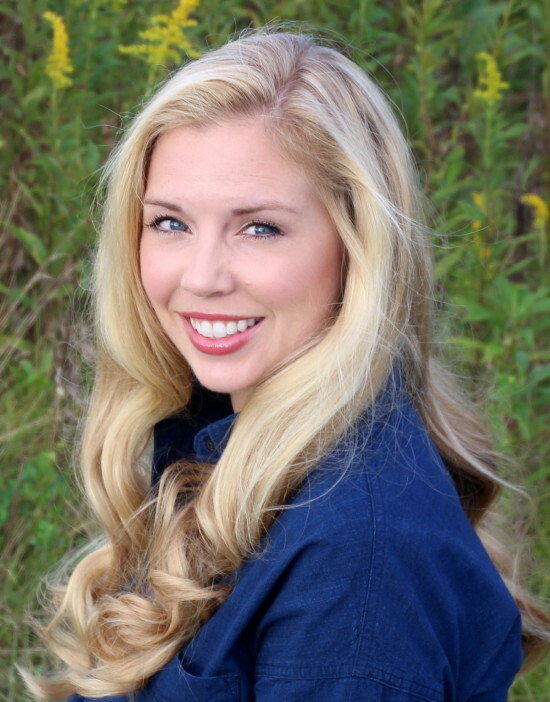 I love Chicago, it’s a great vibrant city with a friendly Midwestern vibe! 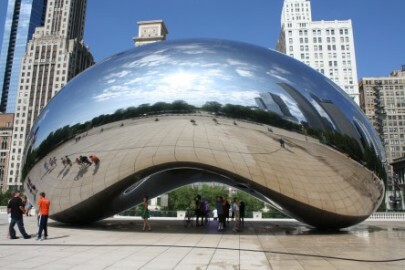 With so many great spots to visit, Chicago has something for everyone! 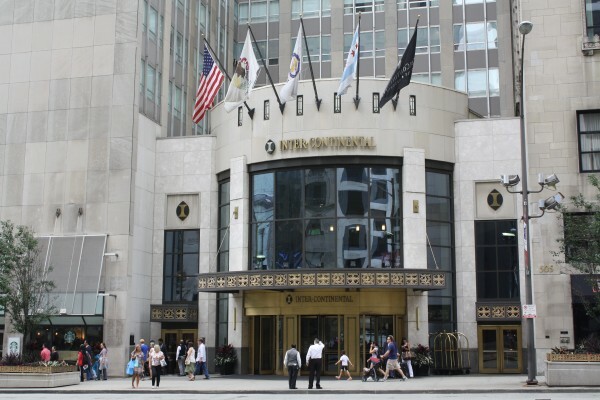 We stayed at the Intercontinental Chicago Magnificent Mile Hotel. 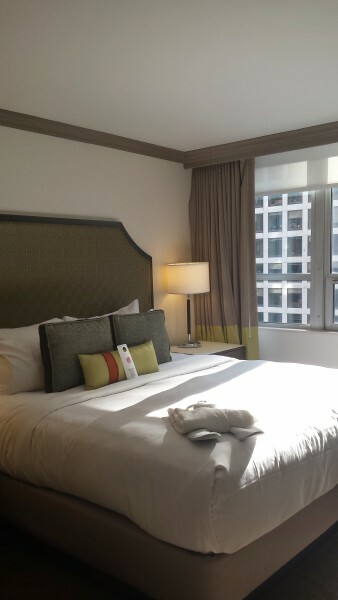 Situated on the corners of Michigan Avenue and Illinois Street, this restored 1920’s hotel is within walking distance to Chicago’s main attractions, restaurants, and shopping. We have stayed here twice, and have always received a warm welcome and have had a pleasant stay. 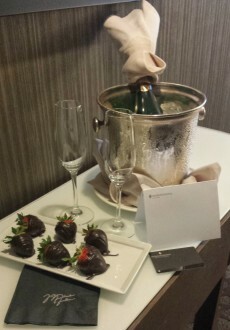 In celebration of my birthday, my loving husband enlisted the staff to surprise me with champagne and chocolate covered strawberries in our hotel suite! The friendly staff are willing to help with little surprises, giving directions or getting a taxi. The hotel rooms have been updated with modern fixtures and a touch of 1920’s décor. Apart from the nice rooms, friendly staff, and great location, the Intercontinental provides guests with several dining options. From Starbucks, The Continental, Michael Jordan Steakhouse, Michael Jordan’s Bar, and my favorite, ENO. Each time we visit Chicago, we enjoy a glass (or bottle) of wine hand-picked by the friendly ENO staff. 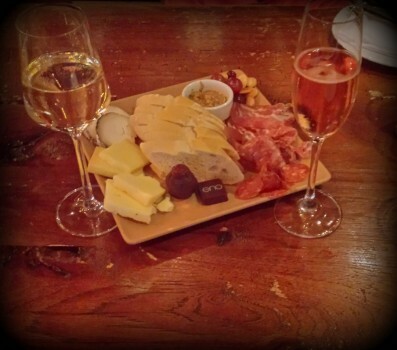 With beautiful full windows overlooking the Magnificent Mile, ENO provides customers with great views of the bustling streets, an international selection of wine, and a menu of cheese, meats, and chocolates. Inside, a wine cellar theme invites visitors to relax with their favorite wine or try a new wine recommended by the ENO staff. During the warmer months, enjoy ENO’s outdoor patio that allows visitors to view the amazing Chicago architecture while sipping on great wine. We spent an afternoon being sheltered from the rain, enjoyed a window seat indoors, and sampled the ENO Experience; a cheese, meat, and chocolate platter with wine for two. 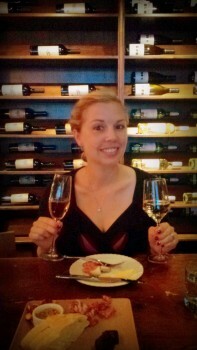 Our friendly server, Chris, made great recommendations for the wine, a Sauvignon Blanc and a Sparkling Rose. 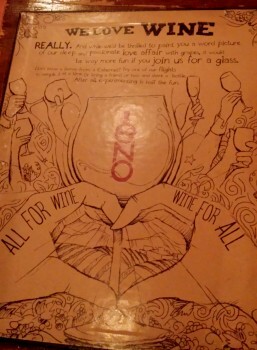 ENO is my favorite wine bar in Chicago and a must visit for wine lovers! 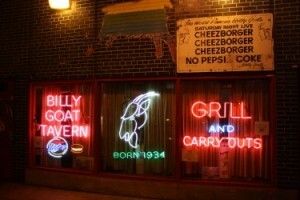 The Billy Goat Tavern originated in 1934. 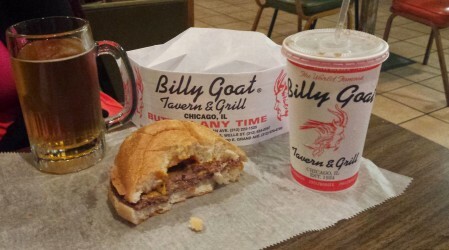 In 1964, the Billy Goat Tavern moved to the lower level of Michigan Avenue. 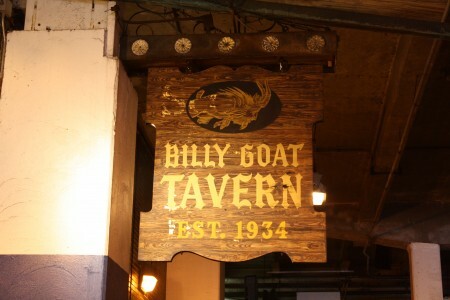 While previously known around Chicago, the Billy Boat Tavern became internationally known in 1978 on a Saturday Night Live (SNL) skit. 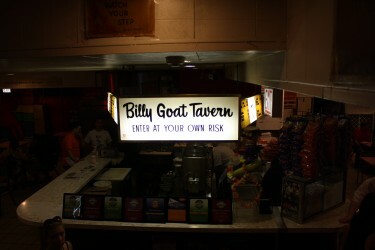 The SNL skit, featuring Bill Murray, Dan Aykroyd, and John Belushi, showcased the Greek staff yelling, “Cheezborger! 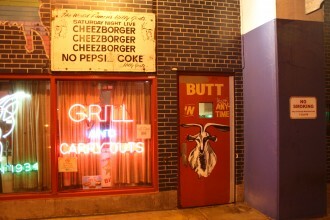 Cheezborger! No fries-CHEEPS! No Pepsi-COKE!” With now nine locations throughout Chicago, I would recommend visiting the original location in the lower wacker on Michigan Avenue. The Billy Goat Tavern staff “greets” you with a loud chant of “Cheezborger! Cheezborger!” and persuades you to order a double cheeseburger. With great nostalgic and eclectic décor, visitors are taken back in time with original newspaper clippings and articles about the tavern hung on the walls. Take time to read the articles on the walls, you will be surprised how much history the tavern has! 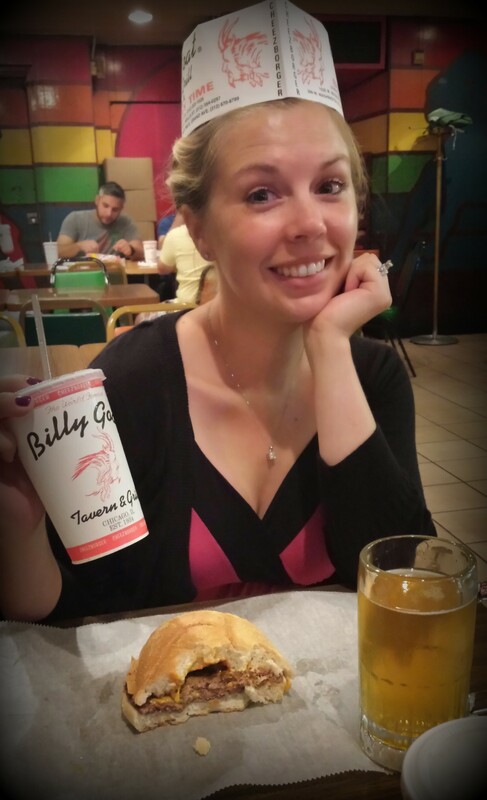 With vintage dining tables and chairs, the original wood bar, and the animated staff showcasing the Billy Goat Tavern, visitors are treated to a retro dining experience! Chicago is known for its shopping. When visiting Chicago, walk down Magnificent Mile, to find an abundance of national chain stores, upscale boutiques, and high-end designers. My favorite stores to visit are Tiffany and Co. (located in a beautiful art deco building), Burberry (with several floors of Burberry goodness, I was in heaven! ), and 900 North Michigan Shops (over 450,000 square feet of shopping bliss). With well-manicured flower beds and landscaping, beautiful buildings, and great people watching, the Magnificent Mile is a tourist attraction, even if you aren’t purchasing anything! 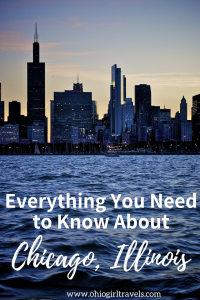 With so much to visit in Chicago, stay tuned for my next blog about Chicago architecture, Hancock Tower, Millennium Park, and the Willis Tower!